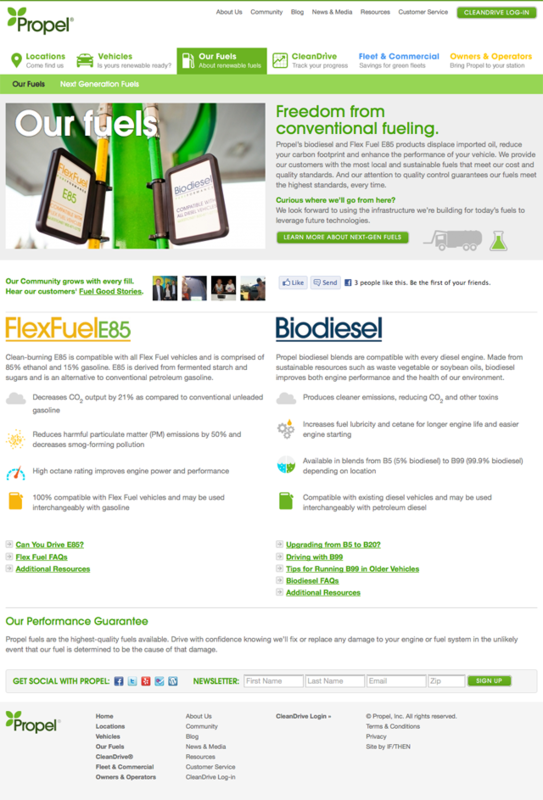 Propel Biofuels is a rapidly growing renewable fuel distributor and a long term partner of IF/THEN. 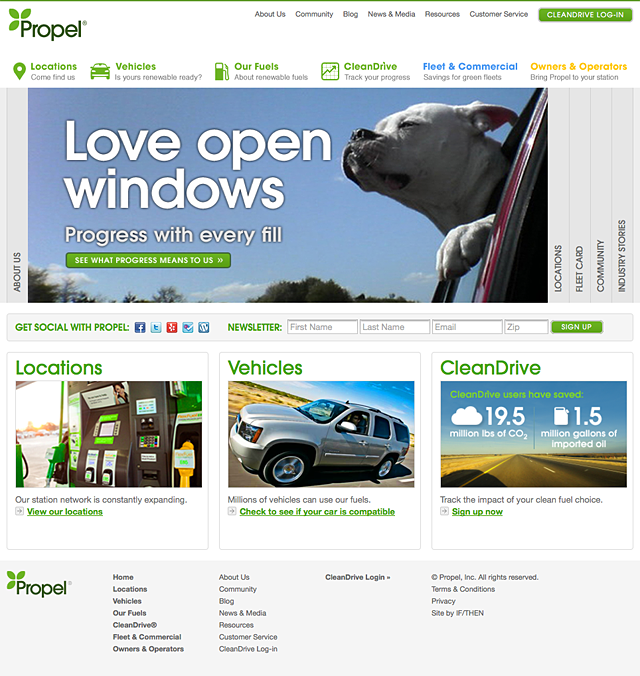 For the reboot of their website, we worked in close collaboration to identify web based solutions that would satisfy the needs of Propel’s growing audience. The design incorporates social media tools, clear user paths for each of Propel’s diverse user segments, and extensible Google map integration to accommodate expanding number of locations.